It's that time of year again, Kentucky Derby in the Bluegrass State. In celebration of the Kentucky Derby, we have compiled a list of Mint Julep tips and techniques from the finest bartenders in Louisville — straight from the horse’s mouth. 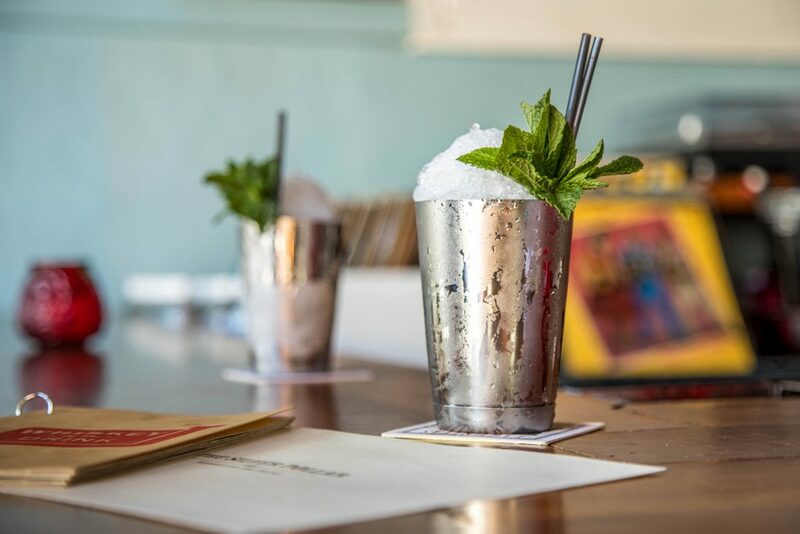 Our picks have also been named some of the best Mint Juleps in Louisville by Thrillist. As with any classic cocktail, recipes differ from bar to bar and have changed over time. Before the Mint Julep became known as the official drink of the Kentucky Derby in the 1930s, it was made with a number of spirits including rum and brandy. At the time, bourbon was reserved mostly for poor southerners who couldn’t afford fine liquor. My how the proverbial tables have turned! Despite Proof on Main’s modern and progressive interior, they have a classic take on the Mint Julep. 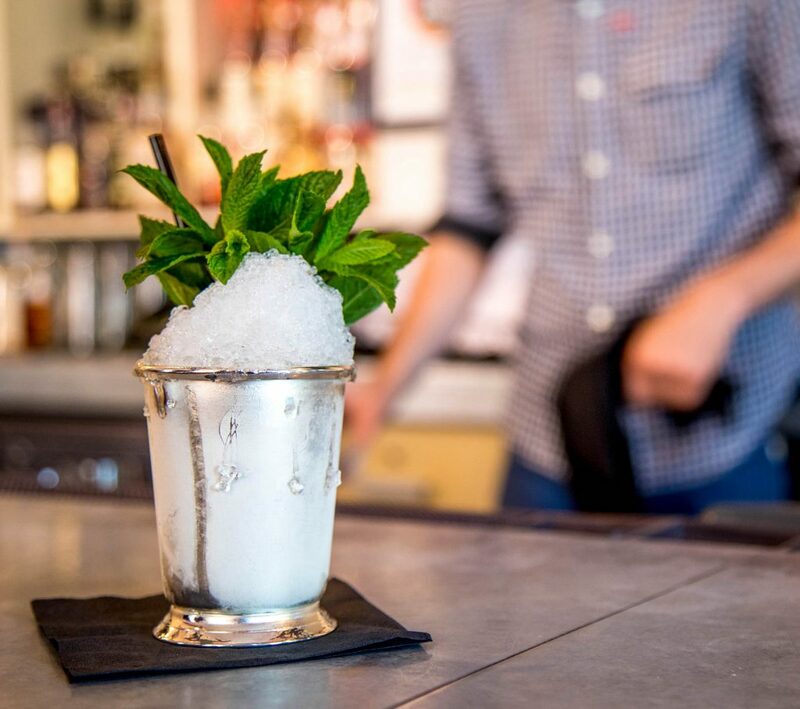 The delicate balance of bourbon, simple syrup, mint and ice make for one refreshing cocktail. They use special, shaved ice, which speeds up the melting process. The longer you take to finish the drink, the more mild it becomes. Mr. Boston endorses this recipe, as it remains tried and true to to how this cocktail is classically made! 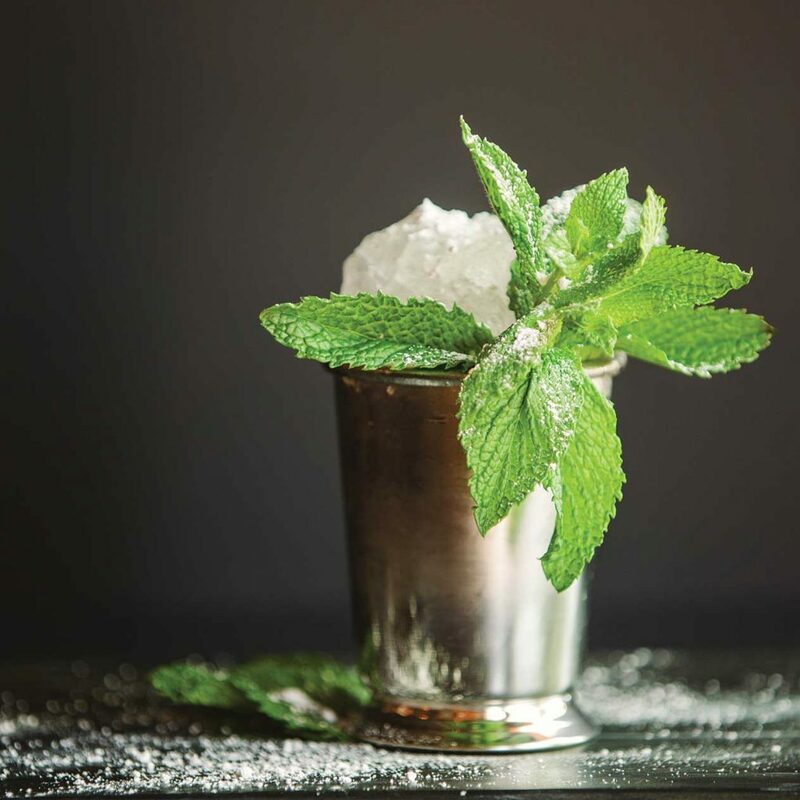 The Silver Dollar’s Mint Julep is famous around Louisville, especially during Derby season. They serve the cocktail in a silver cup in order to keep it extra cool on a hot day. They take pride in creating the drink with a delicious aroma. To achieve this, they don’t muddle the mint, but rather spank the mint and brush the inside of the cup with it instead. This avoids any bitter tastes that muddling might release. They also use a decently sized sprig as a garnish, in order to fill the nostrils with the fresh scent while taking a sip. 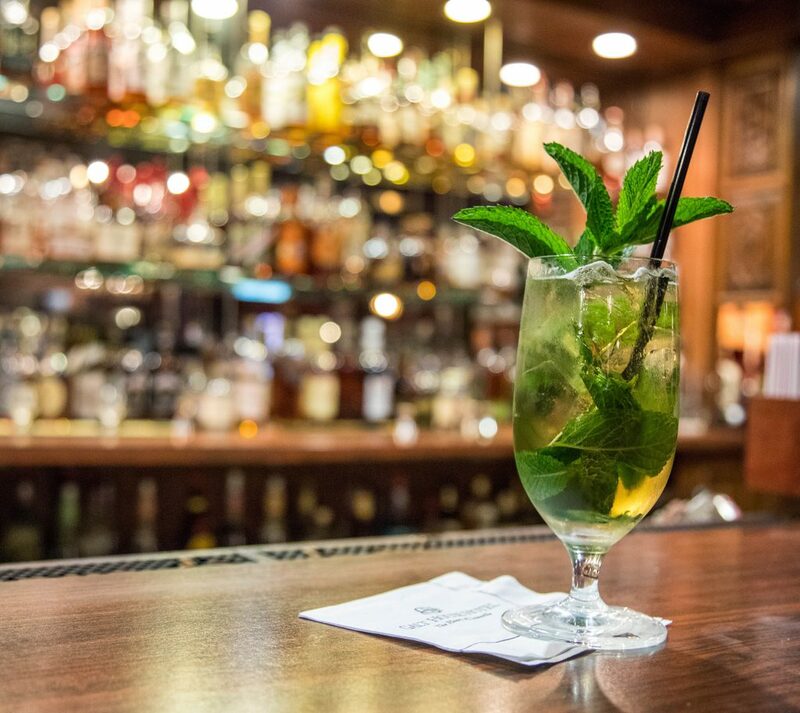 The Brown is Louisville’s most legendary hotel, offering a traditional take on the Mint Julep. After all, they’ve been making it for quite some time. A key to making it just right is to tear the mint leaves off right before the stem. The reason for this is to avoid the bitter taste, which is found where the leaf connects to the stem. They also tend to use a high rye bourbon, rather than something sweeter, because there is enough sweetness in the simple syrup. Along the mighty Ohio River, nested in a dark and cosy corner within the Galt House Hotel, you’ll find Jockey Silks Bourbon Bar. Their Julep is served in a clear, cold glass. After muddling, the mint leaves are swirled along the inside of the glass to not only evenly distribute the flavors, but to make for better presentation. They top the cocktail with soda water, to make it less heavy and more refreshing. 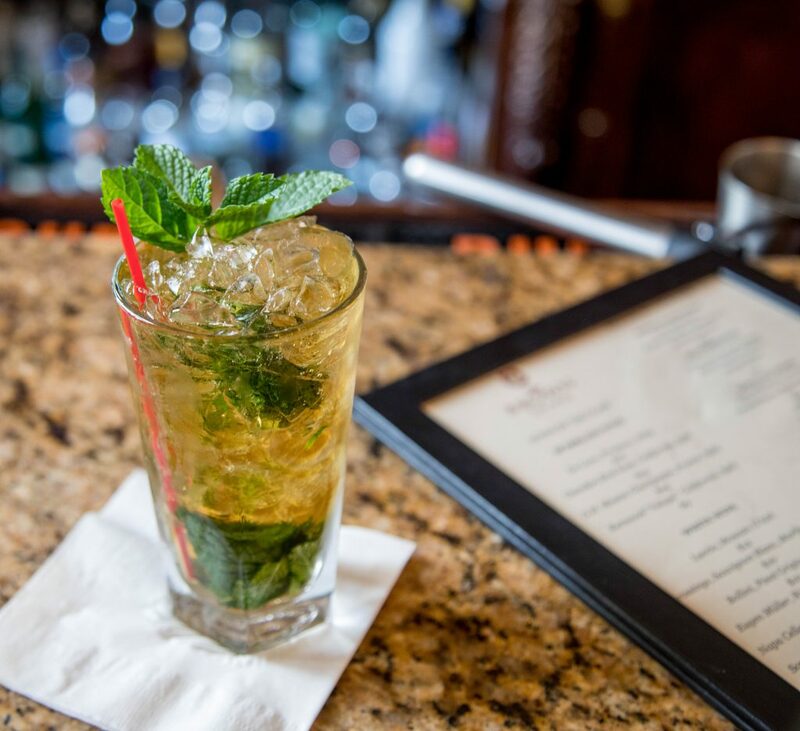 According to the Mr. Boston Bartender’s Guide, the Mint Julep recipe contains half an ounce of simple syrup, one and a half ounces of bourbon whiskey, and 5 springs of fresh mint leaves, along with shaved or crushed ice. Over the years, the recipe has evolved from once containing powdered sugar and water instead of simple syrup, to this unique combination. Refreshing and delicious! Even if you are unable to get to Churchill Downs the first Saturday in May, you can still enjoy a Mint Julep in honor of the most famous horse race. Spring is the perfect time of year for a Julep. If you’re looking to make one at home, watch the video below for proper technique. And if you’re a mixology expert, we’d love your review of Mr. Boston’s Mint Julep recipe. If you create an account, you can review all our recipes on the site.